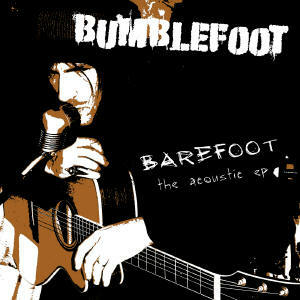 Barefoot is the first collection of acoustic recordings by Bumblefoot, re-interpreting his own songs in a stripped-down bare form. Featuring versions of songs from various Bumblefoot albums performed in an intimate, revealing way unlike they've ever been heard before. The opening track 'She Knows' was chosen by fans in an online poll, as part of picking which songs to record for the album.